There are so many makeup brush brands out there, from cheap to high end, it’s hard to tell which brush is worth the purchase. You can splurge on a brush and it can be really great quality but, there are those hidden inexpensive gems that can stand up to those luxury brands. 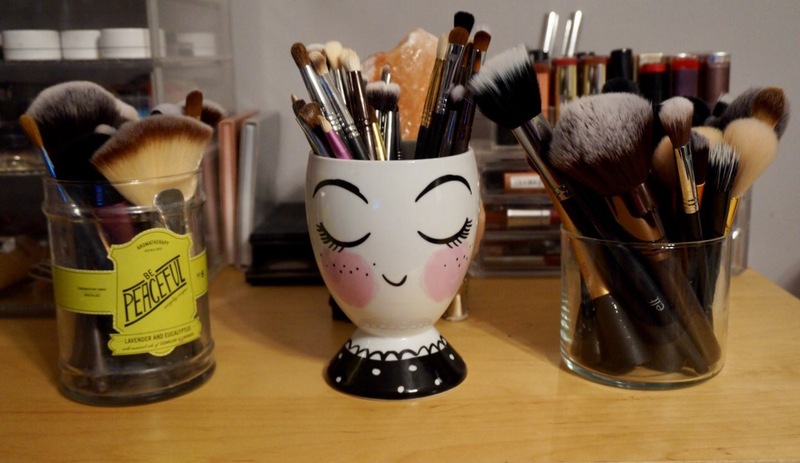 In my opinion, you don’t need to spend a fortune to find brushes that apply makeup beautifully. Here is my list of affordable favorites. These brushes are super similar but I couldn’t pick just one. I like them both equally for blending out the crease. I have about 3 backups of each, that’s how obsessed with them I am. I love this brush for placing and blending color in the crease. It fits perfectly around the curve of the eye. This brush isn’t necessarily cheap but Sigma has a lot of sales for 30% off. I have a mac stippling brush and I have to say, I like this MUA brand (sold at CVS) so much better. It’s a bigger brush that I like to use for blending out contour, bronzer, and blush. I also use it to lightly apply bronzer for my no-makeup makeup days. This brush is a little more pricey at $16 but CVS has great sales and coupons! This brush is perfect for bronzing the entire face. I don’t know where I would be without this brush. It’s perfect for my everyday more natural look and for my more glam going out look. I use it daily to set my under eye concealer or to sweep away excess powder when I am baking. If you’re looking for a larger eye brush to place color all over the lids look no further! This little shader brush is small but mighty! It’s a little denser so I like to use it to pack color on the lid. Keep a look out for sales to save money! I love this sponge as an alternative to the beauty blender. Don’t get me wrong, I am obsessed with my beauty blender but at $20 a pop, I can’t always justify the purchase. I honestly could have gone on and on with this list because there are so many great, affordable brushes. What are your favorites? Wow. How intimidating! I have one make up brush only that I use for blusher and all over powder – anything else I put on with my fingers (but don’t wear make up most days anyway). I’m an amateur! Thanks I got it from Target!